TorGuard Review 2019 + Reader Discount | Should you buy this VPN? 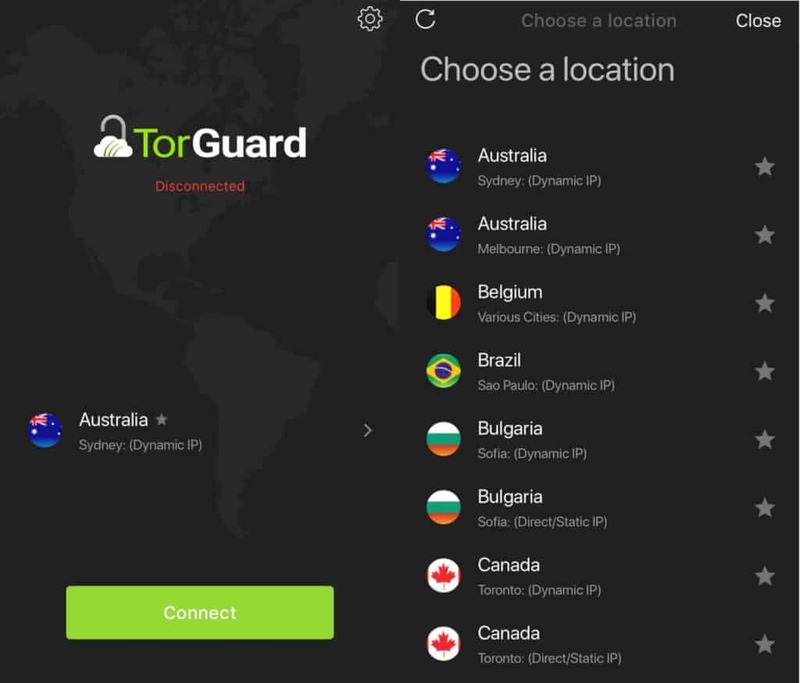 Torguard is one of the largest VPN providers out there with an impressive network of servers. It offers several services geared towards users looking for online anonymity including email, a proxy, and a VPN. 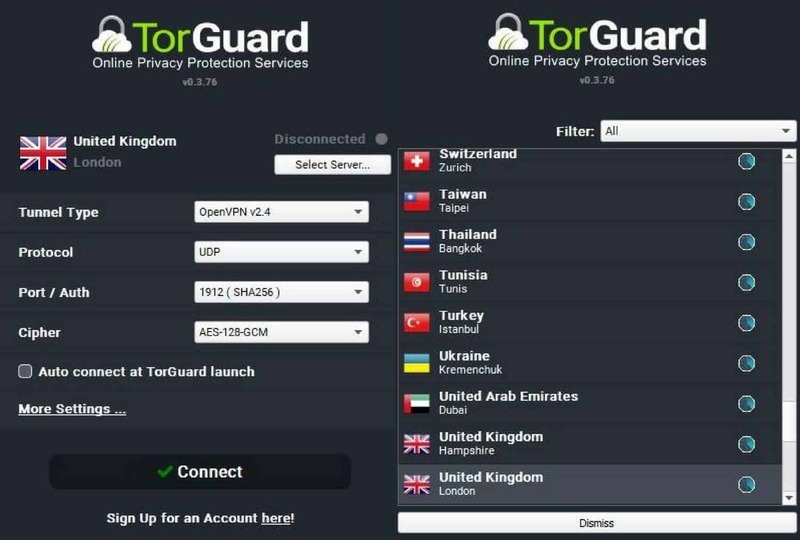 Torguard’s VPN is first and foremost geared towards torrenters who want to use BitTorrent and similar services anonymously. This is what the “Tor” in Torguard is intended to infer, not association with the Tor network. Fast speeds, a reliable service, and 100% anonymity are just some of the claims from this provider. We’ve tested it out to see how it stacks up against the competition. Let’s see how it fared. Reader deal: Save 50% on TorGuard here (you will also need to add TGLifetime50 at checkout). As mentioned, Torguard has a few different services. Aside from the VPN, it offers a proxy and an email service. They can all be purchased separately, or the proxy and VPN can be bundled. While most people wouldn’t consider using both, Torguard does suggest using them together for increased security. For the purposes of this review, we’re using the VPN only. This service will cost $9.99 (GBP £7.50) per month on a monthly basis. If you sign up for a longer term, you’ll see some discounts. For a three-month term, it’s around $6.67 (GBP £5.01) per month. Although it’s not shown above, when you go into the payment page, it shows that six-month and 12-month terms oddly cost roughly the same at around $5.00 (GBP £3.76) per month. If you’re really committed you can go for two years for around $4.17 (GBP £3.13) per month. These prices are definitely at the higher end of the scale, especially when you consider some providers will go below $3.00 (GBP £2.25) per month on 12-month terms. Torguard offers a 7-day money-back guarantee which is pretty short by industry standards. Many other providers offer 30-day or even 45-day guarantees. It does offer a host of payment methods including credit cards, Bitcoin and other cryptocurrencies, PayPal, and PaymentWall. Once signed up, you can simultaneously connect five devices. If that’s not enough, adding another costs $1.00 (GBP £0.75) per device per month, regardless of the term. Apps are available for Windows, MacOS, Linux, Android, and iOS. 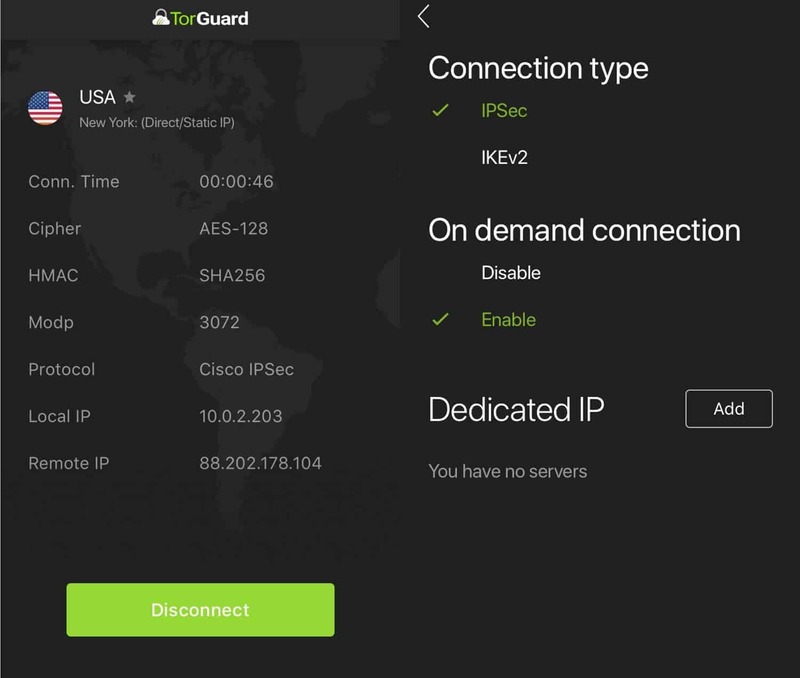 Torguard also offers an optional add-on of a dedicated IP which is something that isn’t typically offered by other providers. Traditionally shared IP’s are used and this is a good thing for anonymity. However, a dedicated IP has a couple of benefits. It’s more suitable for unblocking streaming services since a single user is far less likely to be flagged and blocked by sites like Netflix. It can also be useful if you don’t want the hassle of verifying your identity on certain sites every time you switch IP addresses. The cost for this add-on is steep, at $7.99 (GBP £6.00) per month on a monthly basis with discounts for longer terms. With that being said, we were given a coupon code for 50% off by using this link and adding TGLifetime50 at checkout. Factoring in this discount would make both the VPN and dedicated IP plans far more affordable. With Torguard, you can expect strong security with an array of protocol options. It offers WebRTC, IPv6, and DNS leak protection. Additionally, you have a built-in kill switch that acts as a backup by killing the internet connection in the event that the VPN is lost. Allowing P2P and offering unlimited bandwidth, Torguard is ideal for torrenters. Although they’ll have to select servers carefully as we’ve seen some particularly slow speeds. Those looking to stream will be disappointed with its lack of ability unblock geo-restricted streaming sites, and will have to look elsewhere. Once you’re signed up, you can access your account through the Torguard website and create a password. You then use the same credentials to log into the VPN, or generate a separate random username and password. Then all that’s left is to download and install the appropriate client for your device. For the purposes of this review, we tried the clients for Windows and iOS. Once you’ve installed and run the software, you’ll be greeted by the main screen of the client. Although the interface is a little dated in terms of aesthetics, you’ll find plenty of options. In the main screen itself, you can decide which tunnel type, protocol, port, and cipher best suit your needs. Then you can click Select Server and choose your location. Use the Filter dropdown to view specific regions or to find ‘Stealth’ servers (more on that below). Once you’ve selected a server, you’ll go back to the main screen and hit Connect. The first time you do this, you’ll be prompted to enter your VPN login credentials. A series of messages in red font will appear in the upper right-hand corner to let you know the stage of the connection. Once you get a green Connected message, you’re good to go. This client has a host of settings to explore which will be welcome news to advanced users. To access these, you need to be disconnected from the VPN, at which point a More Settings link will appear in the main screen. When you hit this, the first screen that appears is the General tab where you can alter connection settings as well as some appearance preferences. Next you have the App Kill tab where you can select certain apps to kill in case the VPN connection is lost. Then you have a Scripts section should you wish to execute certain scripts before or after connection or after disconnection. This is handy if you want to automatically open webpages or apps, connect to file servers, or perform other scriptable tasks. Next to that is the Network tab, which houses security options such as WebRTC and IPv6 leak protection, kill switch settings, and DNS settings. The Proxy tab enables you to use a proxy alongside the VPN. By default, this is set to a direct connection with no proxy, but you can choose to use the Stealth Proxy or a specified custom proxy server. The Servers section gives you the option to enter your dedicated IP. if you’ve purchased one as an add-on. Once you’ve configured a server here, it will show up in the server dropdown accessed from the main screen of the client. As you can see, there are a ton of options available. This will be appreciated by many advanced users, but could definitely seem overwhelming for beginners. Similar to the desktop client, connecting to the mobile app is a breeze. Upon opening, you’ll see a main screen similar to (although more sleek than) that of the desktop client. 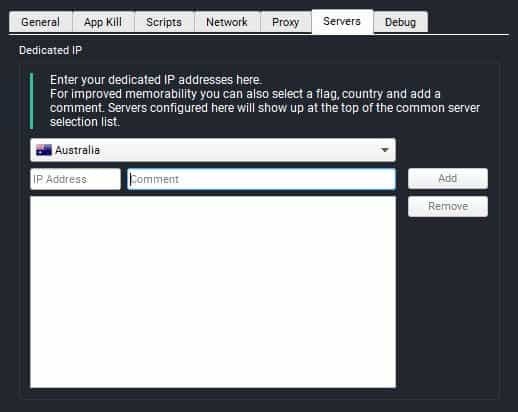 By default, an Australian server is selected but you can tap this to view the Choose a Location screen. These are organized alphabetically but you can select favorites to move them to the top of the list. Once you’ve selected a server, hit Connect back in the main screen. You’ll then be prompted to enter your credentials. Once logged in, the main screen will show additional details including your connection time, the type of connection you’re using, and your IP. While disconnected, you can access the app options by clicking the settings icon in the top right hand corner of the screen. You’ll note there are far fewer options than you’ll find in the desktop client. 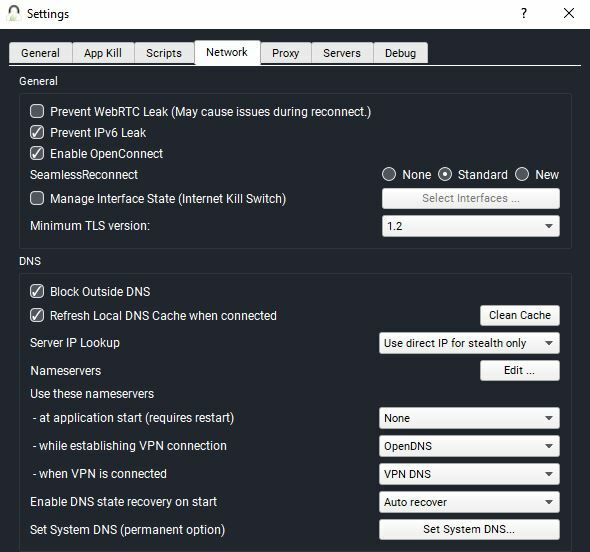 Even so, you can alter your protocol, disable or enable On demand connection (an auto-connect feature), and add a dedicated IP. Overall, the interface is more modern-looking than that of the desktop version. It has everything you need from a mobile app and is very simple to use. Torguard operates a large network of over 3,000 servers across more than 50 countries. The dedication to torrenters is clear when you visit the server page within the clients area. You can see which locations are available for torrenting (the majority are) along with what protocols can be used (generally all are available for every location). When it comes to overall performance, our experience was great for the most part. We tested servers in the US East, US West, and UK from our test location in Toronto, Canada. Using these servers we were able to play online games without issue and stream 1080p with no buffering. The general connection was always good with no noticeable slowdown. While connecting to each server did sometimes take a little longer than we’re used to (usually around 10 seconds), it never took more than 15 seconds. When we conduct our speed tests, we try to be as empirical as possible. We used the test servers noted above to download a (~100MB) from a server in Oregon. Tests were conducted in Toronto, Canada and carried out at three different times during the day. We also ran control tests at each time without using a VPN. We’ve run similar tests on other VPNs and you can see how Torguard compared to these in the boxplots below. In each plot, the thick black line represents the median download time, while the red diamond represents the mean. Lower is better. As you can see, Torguard delivered some mixed results. The best results we saw were from the US West location. This posted speeds only slightly slower than the control, which is excellent. As expected, the UK server was slower with speeds around double those of the control. This is still great as compared to other providers we’ve tested. The server that surprised us was in New York. Its speeds varied greatly depending on the time of day. At one point it was almost as fast as the control but another time it took almost 10 times as long to download the file. If it weren’t for the New York server, we’d be really happy with the results, but the unreliability of this location does let Torguard down a little. It’s important to point out that these tests aren’t definitive and can only serve as a general indication of the performance you might see. The inherent volatility of the internet adds a significant factor of randomness, so these tests should be taken with a grain of salt. They were run while using a 30Mbps connection, so you’ll likely see longer wait times with a slower connection, and perhaps smaller or larger discrepancies. With so many VPN providers having issues with Netflix, it’s often hit and miss as to whether or not test servers will work with the streaming service. We tested Torguard with the above servers and had no luck. Similarly we were unable to get Amazon Prime Video to work with these servers, getting a proxy error each time. The UK server we tried was unable to get us access to BBC iPlayer. You’d hope that such a large provider would be on top of such things. However, it does seem that the larger the provider, the more of a focus they become for Netflix and similar sites. What’s more, since Torguard is positioned as more of a torrenters’ VPN, it may be that it doesn’t feel the need to expend too much effort appeasing the streaming market. We asked a representative for help and they confirmed that access to Netflix and other streaming sites is no longer available. If it’s something you’re set on, you’ll have to buy the dedicated IP add-on. This does come with a guarantee that if it stops working with streaming sites, it will be replaced by another IP. However, with other providers still dedicated to offering Netflix access within their core service, it probably doesn’t make sense to go for this offer. On the other hand, an area where Torguard does put a lot of focus is enabling users in China to access blocked sites. It recommends using the marked Stealth VPN servers to give you the best chance of getting through China’s Great Firewall. These servers have been optimized to bypass Deep Packet Inspection (DPI) firewalls such as those used by ISPs in China and some other countries. When using these servers, you should also use the Stealth Proxy feature which can be accessed within the Proxy tab of the More Settings menu. When it comes to security, Torguard uses 128-bit encryption by default, but you can easily toggle to 256-bit encryption within the main screen of the desktop client. Both are considered very secure, but 256-bit more so, often being dubbed ‘military-grade.’ You also have options when it comes to authentication, including SHA1 (it’s HMAC but Torguard is phasing it out), SHA256, and SHA512. This is in conjunction with 2,048-bit RSA keys and perfect forward secrecy. In the desktop client, you can use OpenVPN—our usual recommendation—or OpenConnect. The latter is an SSL VPN technology which Torguard claims “gives users the ability to max out bandwidth, increase speeds and avoid internet service provider bandwidth throttling, since TorGuard OpenConnect servers pass through a second SSH tunnel.” This automatically uses 256-bit encryption. WebRTC leak protection is available but is not enabled by default. A note within the client warns that it may cause issues during reconnect. The IPv6 leak protection is enabled, as is DNS leak protection and the kill switch. 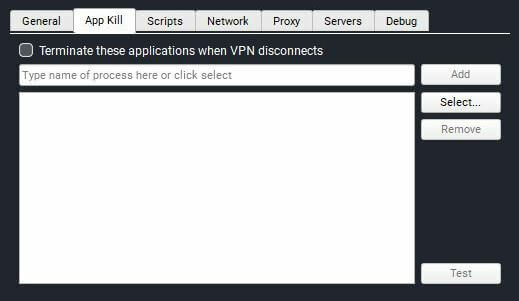 As mentioned earlier, an App Kill feature allows you to terminate specific apps if the VPN connection is lost, such as a torrent client. If there’s one criticism we have here, it’s that the options for kill switches may be a bit too complicated. 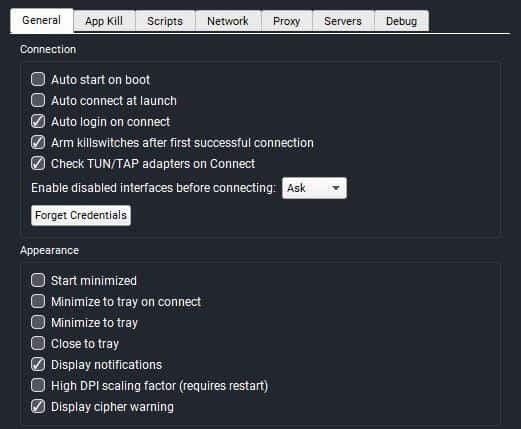 There are various options, including Manage Interface State, App Kill, and Arm killswitches after first successful connection, each housed in different sub-menus. While they’re all useful options, having them all in place would make things a little simpler. If you’re running into issues while using Torguard, then you’ll find lots of help and support. Your first port of call might be the website’s extensive knowledge base. This contains documentation on everything from getting started to troubleshooting complex problems. It includes a wide array of video tutorials to give you a better idea of how to go about fixing more technical issues. Another option is to browse through or ask a question in the active community forums. If you’d rather speak with someone directly, you have two options. Using the live chat, we found representatives to be courteous and knowledgeable. Bear in mind that this is outsourced to LiveChat, which may not be ideal for the more privacy-conscious user. If you’d prefer to contact Torguard directly, you can open a ticket and receive an email response. Torguard is targeted at advanced users who mainly want to torrent anonymously. Indeed, its vast range of settings in the desktop client, and server lists highlighting which ones are available for torrenting, make it ideal for this purpose. With mixed results on the speed tests, you’ll definitely need to be picky about which servers you connect to. Other users who might look to Torguard over competing providers are those looking to unblock sites in countries like China, Iran, and UAE, where there have been crackdowns on VPN usage. Its Stealth option adds an extra level of penetration for such use cases. However, if you’re looking to unblock streaming sites like Netflix and Amazon Prime in these or any other locations, you’ll have to pay an additional fee for a dedicated IP or look elsewhere.